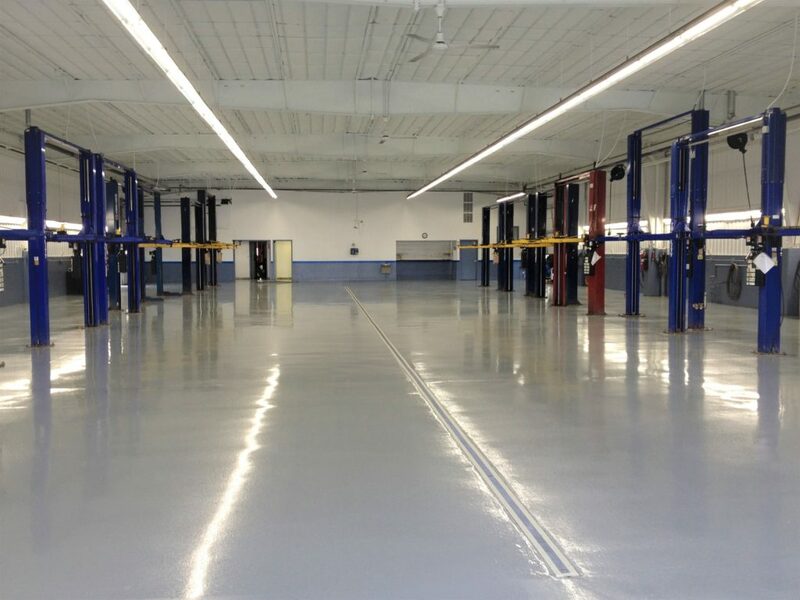 Tough flooring to meet the demanding needs of your automotive dealership’s service department and showroom floors. When you deal in cars, showcasing is everything. Those doors open and people flood your dealership; admiring all the newest vehicles and all their amenities. From the showroom to the service center, you'll make it big... if you've got the right look. But what happens if your floors look worn, outdated or damaged? Those same customers walk thousands of steps, every day, on your showroom floor; tracking in dirt from the outdoors, making scuffs with rubber soles, and wearing down the original shine. That can have a devastating effect on your bottom line. 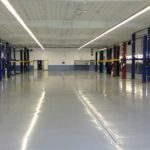 Our local, Indiana based, company has more than 40 years of experience, and the most well-trained floor repair, polishing, and installation techs in the industry. We can offer you the expert care your floor deserves and create something that reflects your specifications to make everything last for many years to come. If you're an auto dealer in Indiana, Michigan, Ohio and Kentucky, you need to come in and see us at Northern Industrial Flooring! Service Departments are the life blood of any Dealership, yet they receive the most abuse. How do we prevent that abuse from damaging our concrete? How do we maintain our image to our customers that we care about them and their vehicle? First we protect our concrete with a High Quality, Professionally installed polyurethane floor system that has high abrasion and impact resistance, which is extremely chemical and stain resistant. Excellent durability and gloss retention, withstands heavy traffic seen at dealerships and the repeated scrubbings required to maintain that “BRAND NEW” look. Secondly we work with a contractor who specializes in the installation of High End Coating Systems, and who is familiar with the ins and outs of a working Dealership. One who has completed hundreds of dealerships in a timely manner with excellent results. Finally we make sure we get a written warranty on that installation from a proven professional company. Northern Industrial Flooring, Inc. is that company.